Palencia will soon have a new hostel in the Camino de Santiago for its pilgrims, fully adapted to all travelers with disabilities. It can be found in the town of Villalcázar de Sirga, and will be restored by the catholic religious order Soberana Orden Militar y Hospitalaria de San Juan de Jerusalén, de Rodas y de Malta; better known as the Order of Malta. 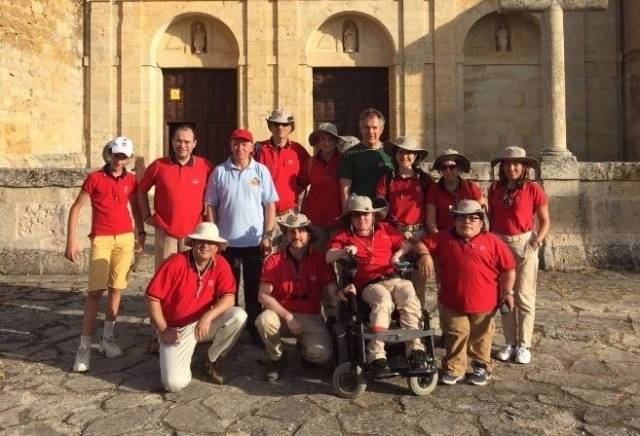 Besides adapting for people with disabilities, so they made various improvement works, the hostel will be managed by international volunteers of the Order of Malta, as confirmed by the president of the order in Spain, Jaime Churruca y Azlor de Aragón. The Order of Malta wants to become one of the main driving forces of economic assets of the jacobean route in the region of Castilla y Leon, starting with the hostel fully adapted and accessible to users with special needs. For the project, the Order of Malta in Spain will request financial assistance to its headquarters, located in Rome, which should also get volunteers who manage the shelter. With this already would be three shelters or hostels of the order on the Camino de Santiago, including Santiago de Compostela and Zizur. 0 reviews Distance to Santiago: 411 km. Buenas,quien quiera saber más de la Orden de Malta:http://www.orderofmalta.int/ que es una una orden religiosa y el Cardenal es Patrono, solo para regir la vida religiosa de la Orden. Fernando, no es un gran maestre como los masónico, es un Cardenal de la Iglesia Católica; en este caso Raymond Leo Burke. A ese luguar fue castigado por el Papa Francisco, por no estar deacuerdo con las incoherencias soctrinales propuestas por el Papa. Bueno, venga de donde venga el albergue, esta bien que esté totalmete adaptado para TODOS los peregrinos.